The video screen as a portal to visceral bodily material and matter is played out in Skin Freak. The screen as an extension of our own viscera, a new biological/technological outgrowth of our corporeal bodies. Skin Freak offers a textural exploration of the surface and skin of some kind of creature. Slowly breathing, the skin appears closer to raw exposed meat, opposed to the smooth perfection of the idealized texture of the flesh. In Darwinian terms we are just chunks of meat and we don’t look like evolving anytime soon. 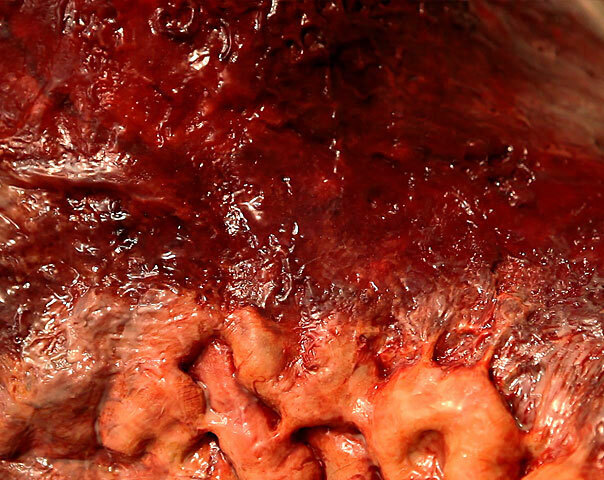 A short video excursion into the abject bodily surface of flesh, meat and screen.